Russia - Where We Work - International Health - John Snow, Inc. 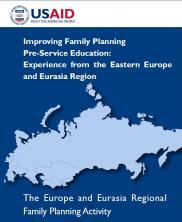 Since the early 1990s, JSI has worked to improve family planning and maternal and child health outcomes in Russia. Partnering with NGOs and the Russian government, JSI has managed several groundbreaking projects in these fields, including the Family Planning Service Expansion and Technical Support (SEATS) program and MotherCare. Starting in 1994, BASICS provided technical support for the prevention and control of diphtheria and for improving public health communications. Throughout the last decade, JSI has rolled out major maternal health initiatives in Russia that have contributed to significant improvements in the quality of care and services, and that have precipitated a shift in national healthcare policy. 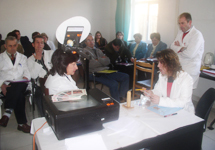 Beginning in 1999, JSI provided project development, technical assistance, and training services to the Russia Women's and Infants' (WIN) Health Project and its follow-on, the Maternal and Child Health Initiative (MCHI), two programs which reformed existing childbirth and antenatal care practices by promoting breastfeeding, prioritizing family-centered care, and discouraging unnecessary interventions during delivery. The Institutionalizing Best Practices in Maternal and Child Health (IBP-MCH) program, implemented through a partnership between JSI and the Institute for Family Health Information and Research (a Russian NGO), has followed up on the success of MCHI, increasing access to quality maternal health care, building in-country capacity to sustain best practices, and promoting contraception and pregnancy postponement. Learn how JSI radically transformed the policy, practice, and culture around reproductive health and childbirth in Russia. 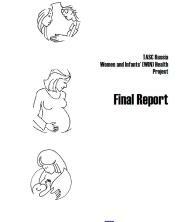 Family-centered maternity care interventions supported by the Maternal and Child Health Initiative raise the standards of delivery room practices in Russia. A couple in Russia receives counseling on effective, modern methods of contraception through the JSI-managed Maternal and Child Health Initiative. JSI's Maternal and Child Health Initiative helps change cultural perceptions about delivery practices and encourages fathers to be present in the delivery room for the birth of their children.